The crafts of forging and oxyacetylene welding that Julio González brought to his sculpture from the 1920s onwards enabled him to produce work in which new technical processes guaranteed a renewed language for sculpture. Much avant-garde art supported the use of direct processes in sculpture and, by incorporating a new material (iron) and the blacksmith’s working methods, González established a new plastic language based on the constructive idea of forms dependent on the light and the space around them. 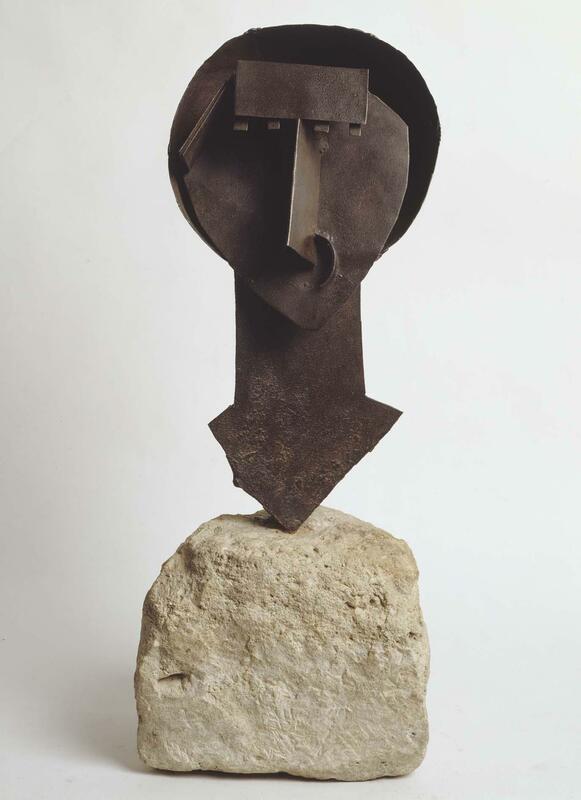 Tête dite «le lapin» (Head Called "The Rabbit") represents the full formulation of sculptural Cubism: for example the strips of metal on the front of the bust are open to various readings, referencing different parts of a head with differences in lighting intensities and mass. The origin of the composition was arrived at using synthetic shapes, broken up by light hitting them and shadows being formed. These are facets which, as a group, reveal a Synthetic side typical of later Cubism as it sought to reconfigure the modern gaze, after breaking away from the Analytic period that was closer to abstraction.